One of the critical turning points in the history of the development of the new creative rural economies initiative was the 2001 FMD (Foot and Mouth outbreak in Britain, which cost the country over £8 billion in farm compensation, the collapse of the rural economy, and lost revenue in the tourism and meat and livestock export sectors. the Littoral Arts Trust began to develop the concept of Culture and Pandemics as a new arts practice and culture policy research genre. This, as noted in the New Creative Rural Economies report (page 52 and 53), is also proposed as the basis for the development of a possible future ‘Saving From Waste’ new creative rural economy cultural strategy. More about this later. 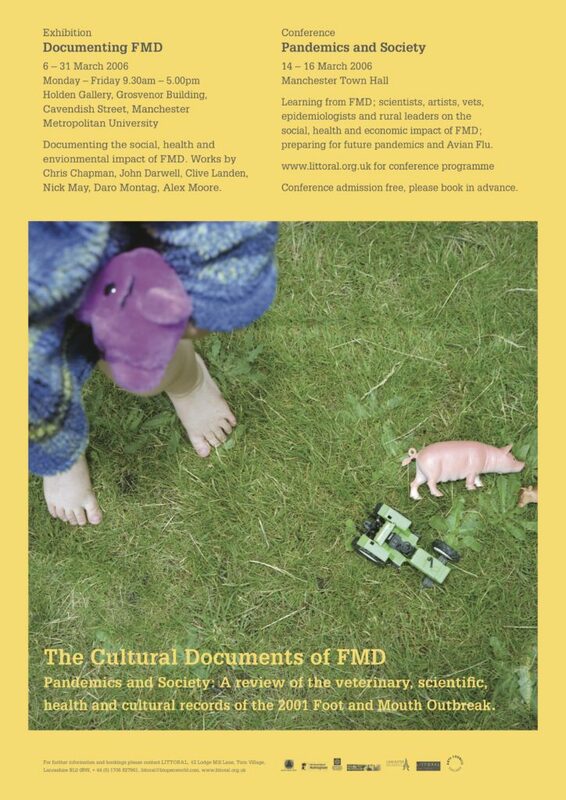 The discussion document under was produced about three years ago and as part of a preliminary EOI submission to the Wellcome Trust, basically for a proposal for a major conference and exhibitions programme for 2018/19. to coincide with the 100th anniversary of the 1918/19 Influenzas (Spanish Flu) pandemic. The discussion document under was produced about three years ago and as part of a preliminary EOI submission to the Wellcome Trust, basically for a proposal for a major conference and exhibitions programme for 2018/19 to coincide with the 100th anniversary of the 1918/19 Influenzas (Spanish Flu) pandemic. National pandemics preparedness programmes; cultural sector response? The Trust is currently re-working the proposal as a possible future partnership with Professor Corrina Wagner University of Exeter, with a view to establishing a five research Culture and Pandemics research programme (2020 – 25). Which could involve a major future funded programme of exhibitions, symposia, film projects, commissions, research projects and residencies, etc., all located around the possibility of exploring new cultural interfaces, artistic interventions and inter-sector creative collaborations aimed at connecting up future veterinary, public health/pandemics, academic, agriculture, arts and cultural policy discourses. And all of which would be further aimed at achieving greater coordination and integration of the arts and cultural sector’s contributions in support of the Government’s Pandemics preparedness programmes. Meanwhile the Wellcome Trust have recently announced a major digital art and influenza commission project with artist Jordan Baseman. More information about the Culture and Pandemics initiative will be available in due course and at the proposed Tate conference.